... just take the first step! 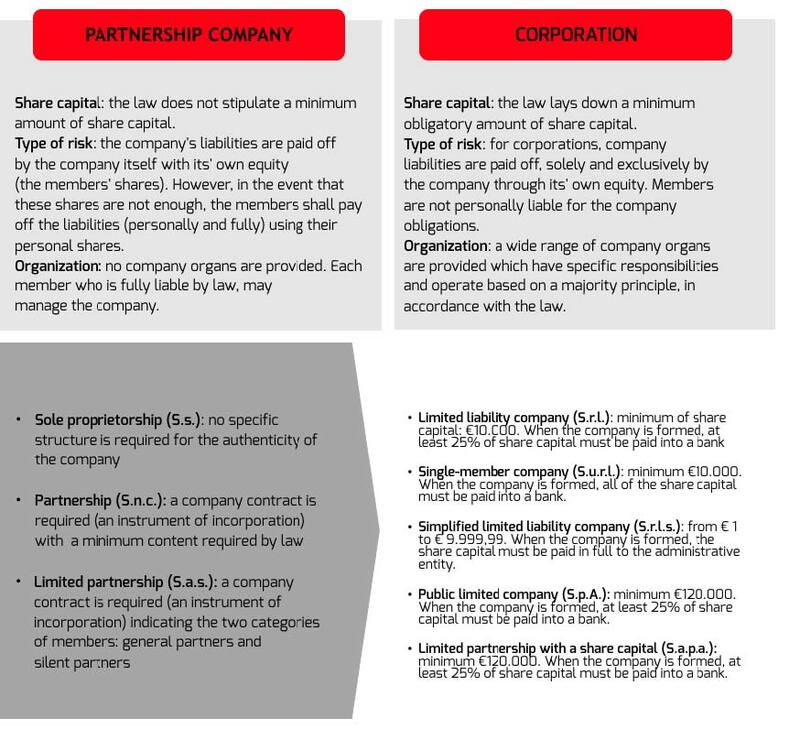 On the basis of assessment of the elements mentioned above, investors can to choose between: – Representative office; – Branch office of a foreign company (Branch); – Italian company (independent or controlled by foreign company: Subsidiary). A representative office is an office established by a company to con-duct exclusively marketing and other non-transactional operations (such as market research and promotional activity). An Italian branch isa representative of the foreign company’s core businessincluding a permanent establish-ment in Italy with decision-making power. The Italian branch office is not a separate legal entity and the parent company is respon-sible for its initiatives. Is an independent legal entity incorporated under the forms provided by the Italian jurisdiction, completely autonomous.